(Modesto, CA) – The Associated Students of Modesto Junior College is hosting The Latino Comic Expo on March 15-16 in the Mary Stuart Rogers Student Center on West Campus, 2201 Blue Gum Avenue, Modesto. The family-friendly, free Expo is open 11 a.m. to 7 p.m. on Friday and 11 a.m. to 6 p.m. on Saturday. Parking on campus is also free for the two-day event. 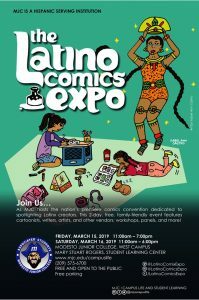 The Expo, featuring vendors, workshops, panels, speakers and more, spotlights Latino cartoonists, animators, artists and writers. The Friday program highlights include sessions on Latina Power, Lucha Libre comics, “Tales from La Vida,” comics in the classroom, an indie publisher roundtable and a spotlight on Jaime Hernandez. 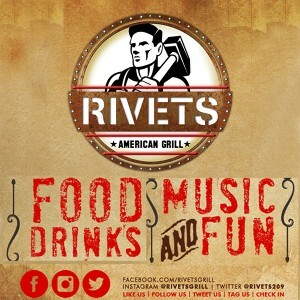 For more information contact the Student Development and Campus Life office at (209) 575-6700.